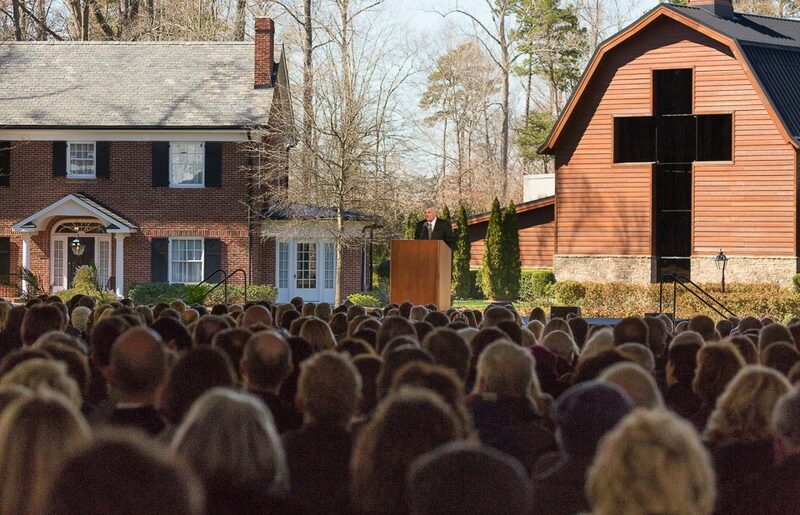 Billy Graham’s funeral service was held on Friday, March 2, 2018, on the grounds of the Billy Graham Library. Watch the video of Billy Graham’s funeral service. About 2,000 guests gathered under a massive white tent built for the service. 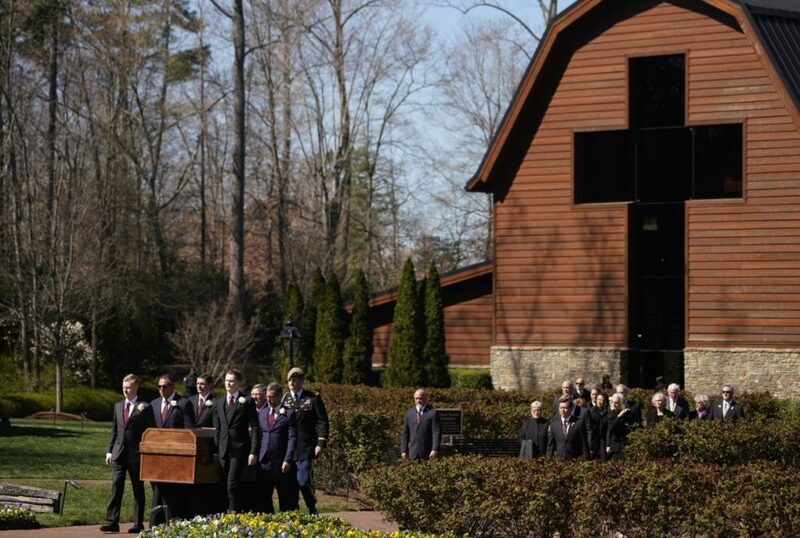 The Graham Family Homeplace and the Billy Graham Library served as the backdrop on a windy, 55-degree day in Charlotte, North Carolina. A few minutes before the funeral service began, the thrum of a helicopter indicated the President’s motorcade was approaching. 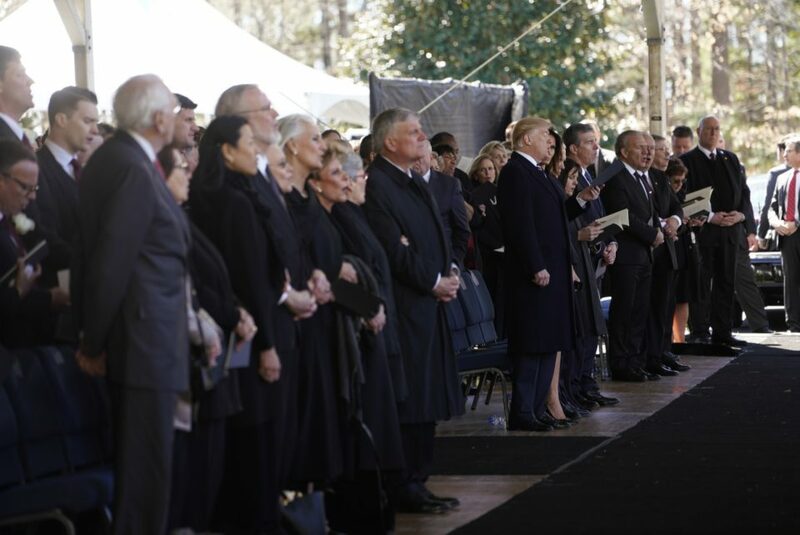 Shortly after, President Donald Trump, first lady Melania Trump, Vice President Mike Pence and second lady Karen Pence walked shoulder-to-shoulder up the brick walkway from the cross-shaped entry of the Billy Graham Library to the front of the tent. Billy Graham Crusades were known for their mass choirs. On Friday, 2,000 funeral guests including the President and Vice President of the United States sang hymns led by former Crusade choir director, Tom Bledsoe. John Innes, a former Billy Graham Crusade pianist, played hymns as six of Mr. Graham’s grandsons carried his casket up the walkway. His sister, five children, 19 grandchildren and dozens of great-grandchildren and other relatives followed behind. Gospel singer Linda McCrary-Fisher and three other female vocalists filled the tent with their soulful voices, as several guests let out an occasional, “Hallelujah!” It was an early indication that the service would be solemn but not stuffy. Billy Graham, after all, was known for his humility and his way of putting people at ease. Mr. Graham lived out those words by refusing to boast about his successes, even as he graced magazine covers and sitting rooms of presidents and royals. The many famous faces in attendance testified that Mr. Graham—though he would hate to say so—was a celebrity. He was an exceedingly rare individual who could seamlessly toggle between the rich and powerful and the poor and downtrodden. A man who became “all things to all people, that by all means [he] might save some” (1 Corinthians 9:22). But while Billy Graham may have belonged to the whole world, his little sister reminded everyone that he also had a family. He was a husband, a father, a son and a brother. 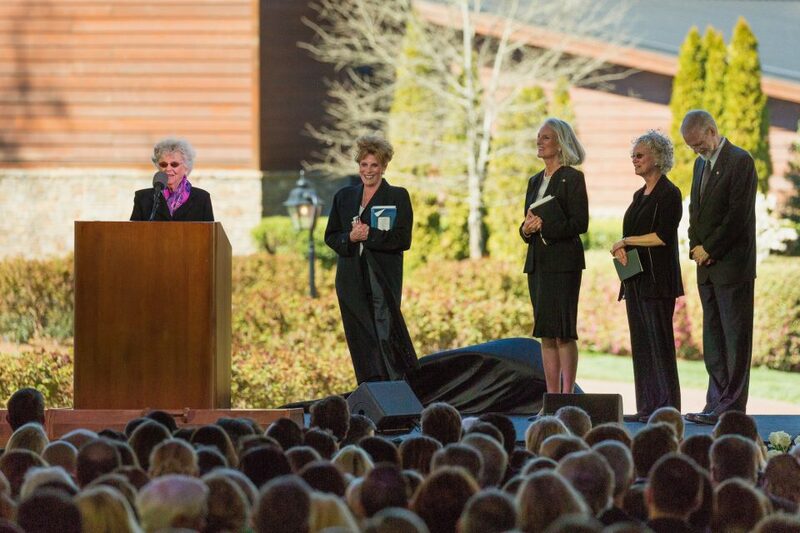 From left to right: Jean Graham Ford (Billy Graham’s younger sister) and his children, Gigi Graham, Anne Graham Lotz, Ruth Graham and Ned Graham. Next, Mr. Graham’s three daughters and youngest son each spoke about their father. Virginia “Gigi” Graham testified to the deep love her parents had for one another. She read a poem her late mother Ruth Bell Graham penned as a 13-year-old girl asking God for a future husband with straight shoulders, quiet eyes and a ruggedness of soul. “The Lord answered every single one of those prayers,” Gigi said. 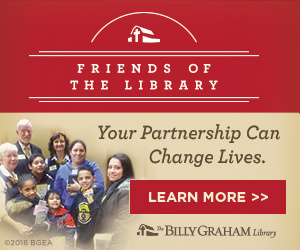 >>Watch Billy Graham: The Extraordinary Journey on FOX this Sunday (March 4) at 7 p.m. ET. From the back of the tent, shouts of “Amen!” and “Go ahead!” erupted as Anne preached, carrying on her father’s legacy as an evangelist. But Ruth held her own as she shared a powerful story about her father. Giving the thousands of guests—and more than 100,000 watching live online—a glimpse into one of her darkest, most personal struggles, Ruth explained the overwhelming shame she felt when her second marriage dissolved abruptly. Her parents had warned her, and she ignored them. As she drove up the mountain to see them, dreading what they might say, her daddy was standing there waiting for her. Billy Graham’s youngest child, Ned Graham, was the most succinct speaker of the day. He said his father was “faithful, available and teachable” and urged everyone to strive to be the same. 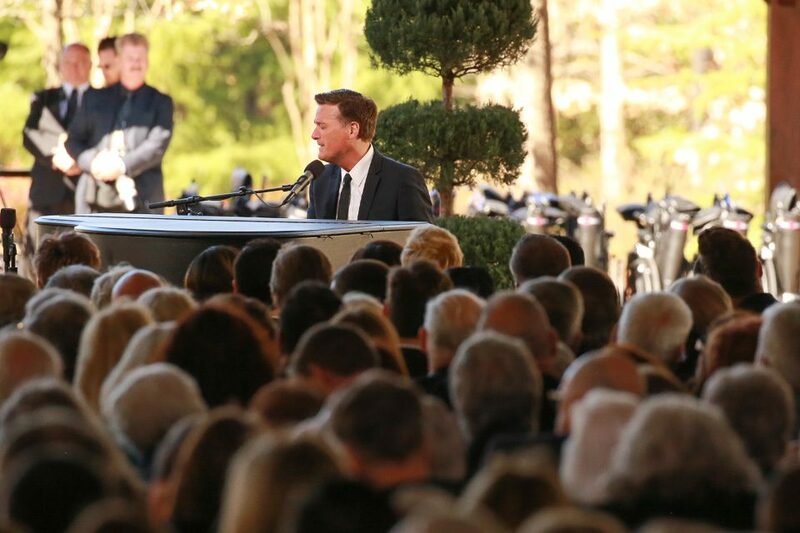 Michael W. Smith performed at the funeral service on Friday as well as Wednesday’s service in the U.S. Capitol in Washington, D.C.
After the family tributes, Grammy and Dove Award winner Michael W. Smith—a longtime fixture at Billy Graham Crusades—sang “Above All” as he played the piano. The next few minutes temporarily transported guests from Charlotte, N.C., to the other side of the world. Rev. Billy Kim served as Mr. Graham’s interpreter during the largest Crusade in the history of the Billy Graham Evangelistic Association. On a single night of the event in Seoul, South Korea, in 1973, more than 1.1 million people filled an old airport runway to hear Billy Graham preach the Gospel. On Friday, Kim took a few minutes to give thanks for a life that he says changed his family and his country. Kim, who served as a pastor for many years and is now the president of Far East Broadcasting Company in Korea, described how his church saw explosive growth after the historic Crusade in Seoul. His 300-member congregation multiplied to become 20,000-strong. “We have more churches and missionaries than any other country in our region, all because you came to preach the Word to our people,” he said. The global nature of Billy Graham’s ministry was evident in the faces of his funeral guests. 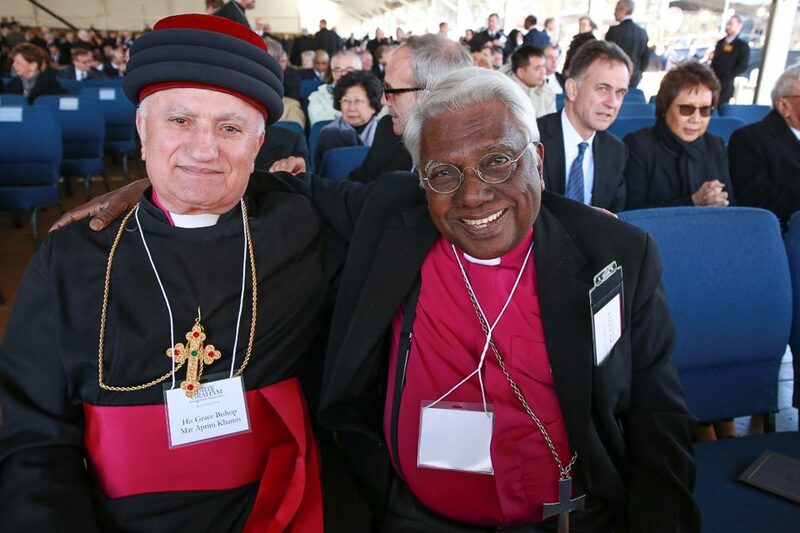 More than 50 countries were represented under the tent, and speakers included evangelists and pastors from North America, the Middle East, Europe, Africa and Asia. 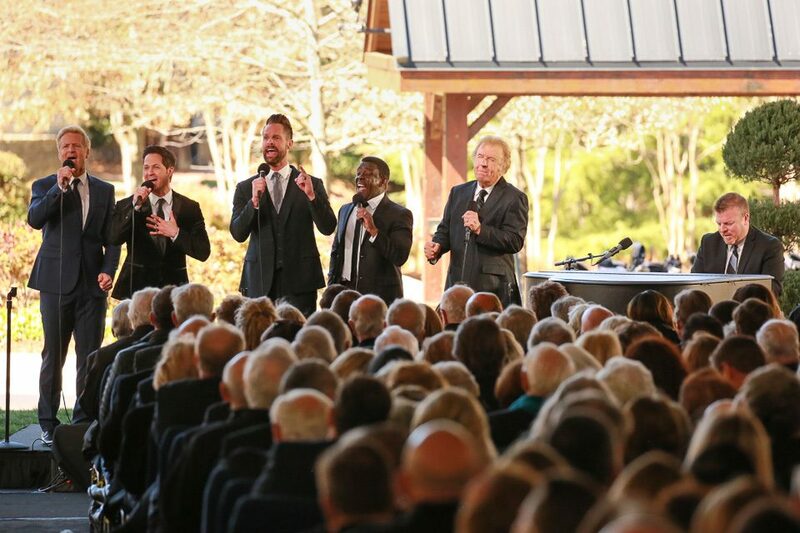 After the Grammy-winning Gaither Vocal Band sang “Because He Lives,” Rev. Robert Cunville, a longtime BGEA evangelist from India, offered a powerful prayer. He asked God to pour out His Holy Spirit on those gathered under the tent as Franklin Graham shared the message of Christ. When Franklin stepped up to the same pulpit Billy Graham stood behind many times during his Crusades in the 1990s, his expression appeared to be one of determination. He was determined, it seemed, to say what his father would have wanted him to say. He was determined to hold one last Crusade. Franklin shared the heart of the Gospel—how sin separates us from God, and the penalty of sin is death. How God, out of His great love for the world, sent His Son Jesus Christ to Earth to die in our place. And how we can be with Him forever in Heaven if we repent and follow Christ. 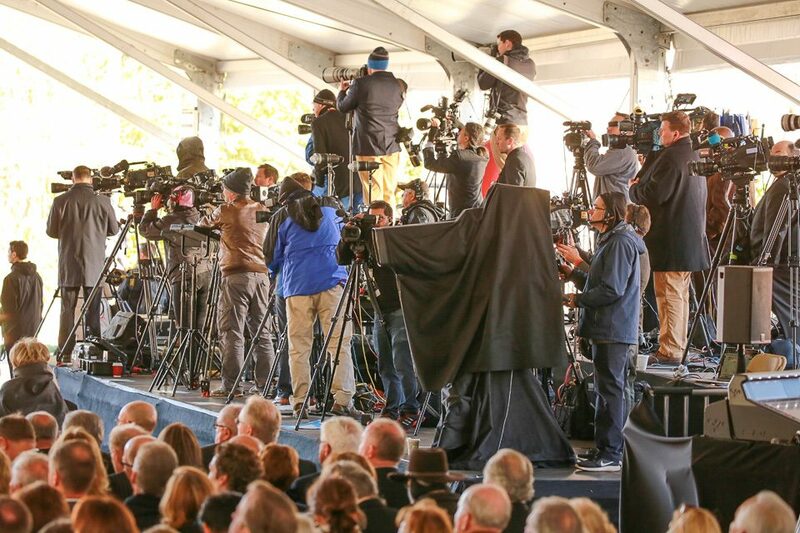 Hundreds of journalists from North Carolina to South Korea were there to capture the funeral service. “He shed His blood for each and every one of you,” he said. “Are you saved, are you forgiven, are you trusting Jesus as your Savior? Are you following Him as your Lord? Then, just as he and his father have done hundreds and thousands of times at Crusade events around the world, Franklin invited everyone listening to pray to receive Christ as their Savior. This time, the people didn’t stream forward. Only God knows how many were moved by the Holy Spirit to turn from their old ways and find peace with God. Bishop George E. Battle Jr. of the African Methodist Episcopal (A.M.E.) Zion Church in Charlotte gave the benediction before Pipe Major William Boetticher escorted the casket and family out of the tent as “Amazing Grace” rang out. Rev. Viktor Hamm, BGEA’s vice president of Crusade ministries and Billy Graham’s interpreter when he preached in the communist Soviet Union, dismissed the crowd. From start to finish, Billy Graham’s final Crusade lifted up the name of Jesus Christ. And that is the one thing Mr. Graham would have wanted. In fact, he insisted on it. The heart of Friday’s service may have been summarized best by Robert Cunville, the humble Indian evangelist who helps continue Billy Graham’s global ministry to this day. Cunville thanked God for Billy Graham in a passionate prayer that surely rose above the top of the tent and cut through the cloudless, blue sky. Don’t wait any longer. Make your peace with God right now. God is good and faithful. The faithfulness of Billy Graham to yield his life to the ministry to which he was called is a testimony to the world. May God richly bless and glorify His Holy Name through the BGEA. Thank you for your ministry members, all of whom make a difference. It is my prayer that my children and grandchildren will be encouraged by this and other ministries that hold fast to the Gospel of Christ. Dr. Graham still preaches everyday in my living room. My husband is very picky to listen TV preaching. We both love Dr. Graham love for God and his passion of his mission to save the lost souls. His preaching will last even he went back to his real home. We continue to support his ministry on the earth. Both my wife and I we’re impacted by his ministry. We continue to look be hearing BG’s messages on XM 145. Please keep them coming! No one that I can think of displayed such compassion and love for all of his fellow men regardless of color of skin, religious beliefs or political party etc. He truly showed us what Jesus is going to be lie when we get to heaven and what He was like on earth. I will miss him greatly, but know he is where, in his later years, he longed to be.! 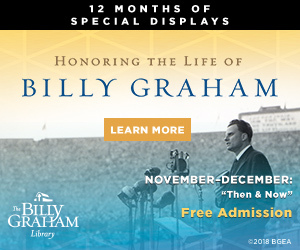 When I was a little girl, I was enthralled by brother Billy Graham’s messages and crusades which were shown on our little tv screen in our country home. I marveled at his simple messages which were plain enough for a young child to understand–and I loved to see the crowds ad people walked the aisle to join hundreds at a time “down front” to make a decision for Christ. I attended the BG Crusade while in the USAF in the mid ’50’s in Louisiana; a USAF friend with me received Christ there. Years later I met him again at Southeastern Baptist Theo. Seminary where I was a trustee at SEBTS. What a blessing this man-of-God was & is to our nation. As a retired Southern Baptist Pastor now, I praise God for his witness, love and commitment to our Lord. What a gift of God to have lived in the era of Billy Graham’s ministry, including being blessed to have watched his his Home-going Crusade! I am so sorry that I missed the funeral. My heartfelt prayers go out to Franklin Graham and his family. Even though I watched the service live, it still brings tears to my eyes when I read about Jesus Christ being lifted up and God being given all the glory. Thanks be to God for such a good man,Billy Graham!! Who preached the good news about Jesus! I have loved Billy Graham and his message to me and everyone else inviting us to repent and follow Jesus. Will always enjoy seeing and hearing him preach all his messages in the years to come; will never tire of his message/invitation to come to Jesus. Will always have very fond memories of Billy Graham and will look forward to hearing his messages every time I have the opportunity. Thanks be to God for a wonderful friend in Billy Graham!!! All this coverage has been so inspirational as Billy Graham’s life was. His children have shone, too, and I pray you all find comfort. There is and never be another like the Billy Graham. It is such a blessing that his family is following in his footsteps. The world will truly miss him. Billy’s funeral was a glorious tribute to our LORD JESUS CHRIST & to his faithful servant Billy Graham! Barry & I were glad & humbled to see & hear Billy’s children speak;great messages Anne & Franklin! Forward Christian soldiers! Rev. Billy Graham’s funeral lifted my heart high, my spirit was lifted to join in the tribute to the life of one so dedicated to my Lord Jesus. May we who remain in this troubled world pick up the banner of peace our brother Billy so effectively carried into his own eternity with our own Heavenly Daddy. Let each of us ask the Lord what He would have us do for Him here, just as Billy did. Thank you brother for showing us how! To God be the Glory! I am 84 yes young. I was moved to tears by the home going as I have many times by the messages of a great man of God, Billy Graham. 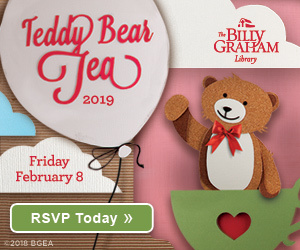 However, I know Billy would be quick to say, “it’s not I, but Christ”. Amen! Billy Graham was a great minister of God and his son Jesus Christ. You will be missed and never forgotten. R. I. P. Mr. Graham. Billy Graham’s influence upon my life has been constant since I played a piano solo when he spoke to the Ridgecrest, NC, staff during the summer of ’58, and he invited me to come play the piano at his home. I regret that I was too shy to accept. He has inspired me to give my best service in music and teaching, to be faithful to God’s Calling, and to remain humble and trusting in God’s Eternal Guidance. I have followed his family’s ministry, and will continue to share his influence upon my life.with others. Thanks for sharing this memorial service so I could see it. I had wanted to see it the day it took place but was unable to be near a TV. I have watched him and his team share the gospel many times. He was always a blessing to me. To God be the glory great things he had done. Thank you William, for teaching me how to surrender to Christ. Thank you for the journey and thank you for helping seek His face. Because of you the narrow road will be broader when the end times come. I know you are with Him. And one day I will read you my message. Thank you Dr. Your concern for our salvation. Billy Graham and Greoge Beverly Shea lead me to the Lord in message and song while a teenager in Cedar Lake,Ind.I am longing to meet them in Heaven.God Blessed them and his family and me. thank you for the description of that memorable day. I hope we can get this on dvd? 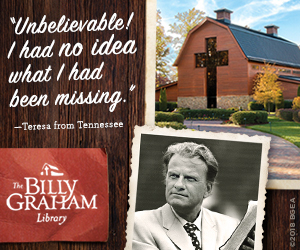 I have loved Billy Graham from the first time I heard him. I enjoy reading his books, along with his families. Also Decision magazine is always in my home! Looking back through time, watching videos of crusades, has been a blessing. My oldest son shares his birthday November 7th which he tends to brag about. My heart and prayers go out to all of you as you mourn the loss of Billy. The joy of Heaven, and the party of His arrival, must have been beyond what words can describe. God Bless you all!